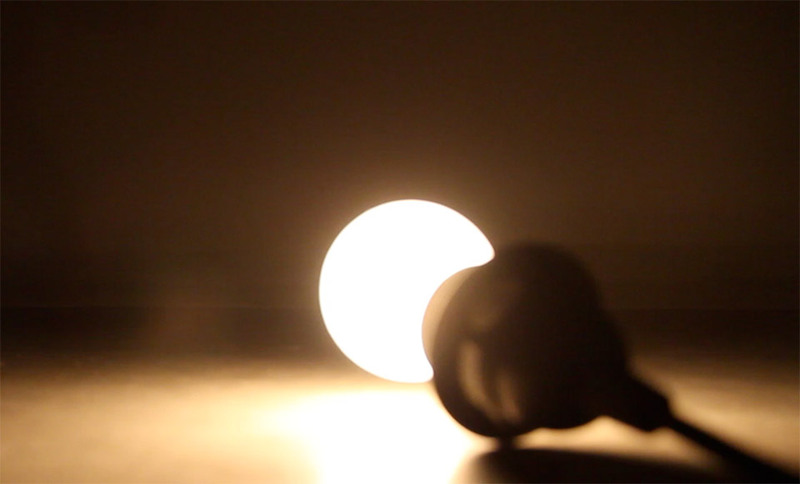 Fire Flies from Omar Faleh on Vimeo. Fire Flies in 512 channels is a spatial installation that is inspired by sounds in nature, and the random lights of fireflies in the forest. The installation works on the state of inside/outside in relation to a certain ecology, where environments have lives of their own when observed from the outside, and become responsive to presence and movement when the body enters the environment. 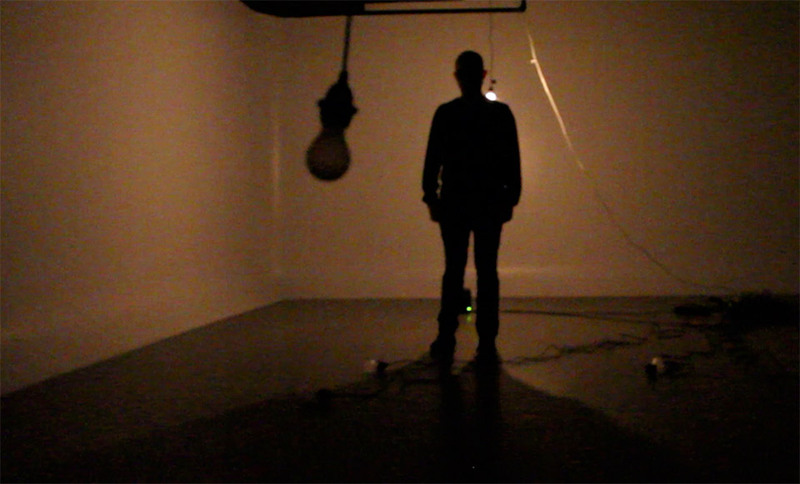 The installation is composed of a random distribution of light bulbs that flicker and animate on computational intervals. the lights are controlled by a sound engine that generates random sounds and musical tones on various intervals. The installation changes state when someone enters the space, the sounds tune their frequency together, and the body becomes the attractor of energy and light: the lights dim down and only intensify around the trajectory of the body in the space, therefore emphasizing and highlighting presence and motion. 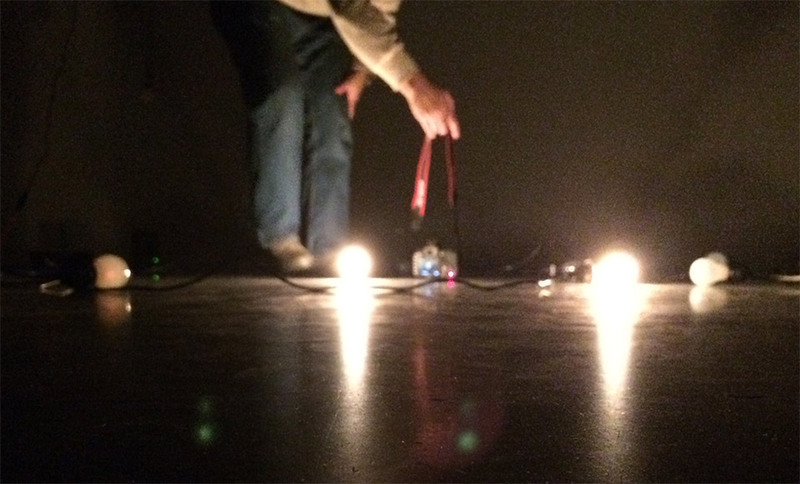 Fire Flies in 512 channels uses DMX Lighting control and a 4 channel sound system to generate the media, and an infra-red camera tracking system to control the lights through the trajectory. Programming is done in Max/MSP/Jitter.